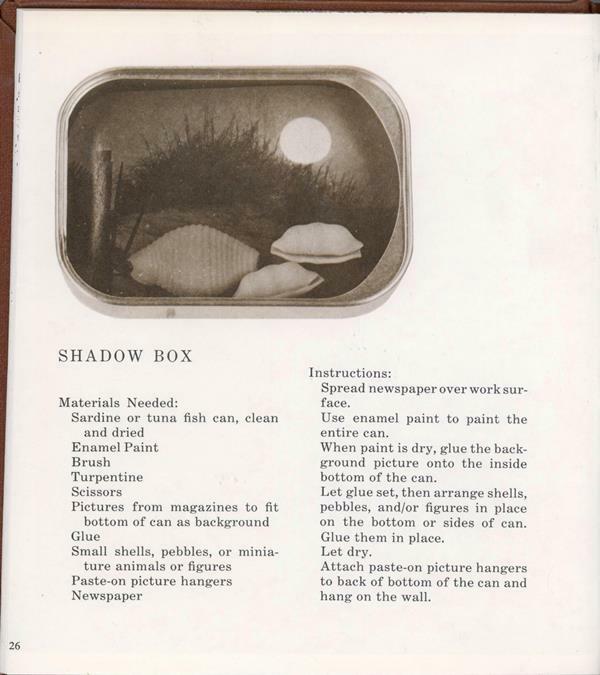 Another book of crafts for your consideration. This poor book was just meh. None of the crafts were that original or clever. None of these crafts are particularly difficult, but they aren’t really kid friendly either.There is also very little content devoted to the process of making the crafts. 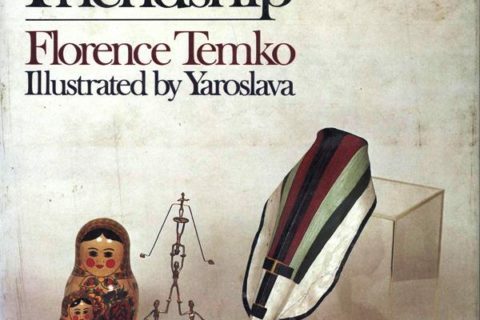 I am not sure who this book is for. Parents? Kids? Librarians with a website that love making fun of craft books? 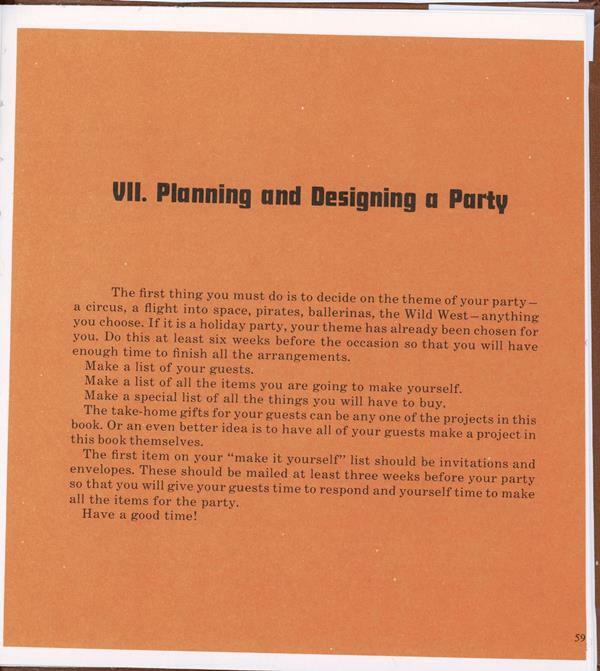 The other problem with this book is the final chapter on party planning. (I did not see that coming.) 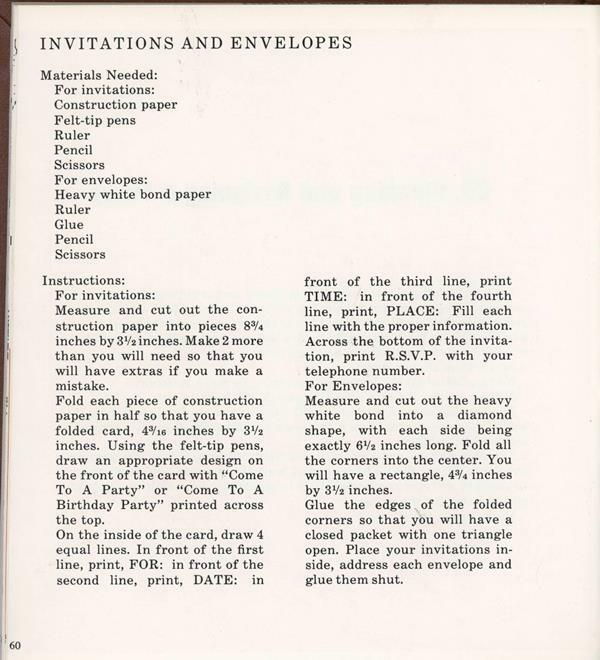 None of the crafts presented had party implications, but all of a sudden it’s party time. 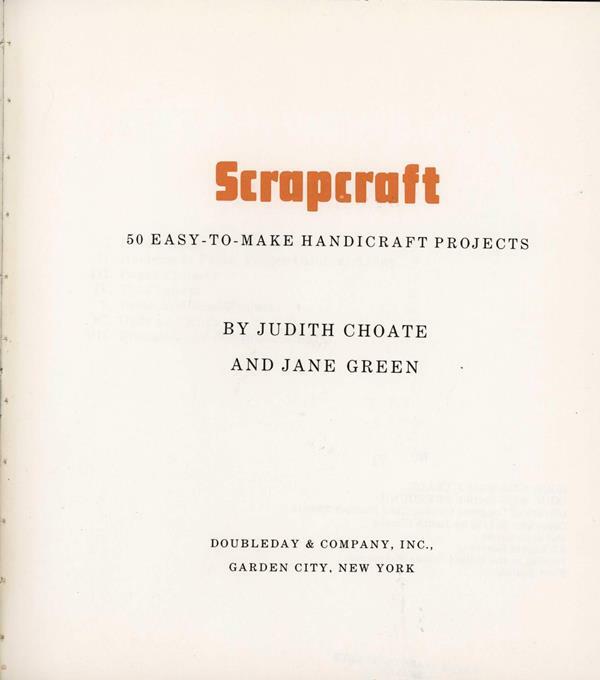 This is just another mediocre craft book that it is out of date for a modern collection. The UPPET HEAD calls for poster paint but it looks like magic marker was used. We used to make the noodle covered whatevers in school , though most six year olds can make a more symmetrical design than the example. 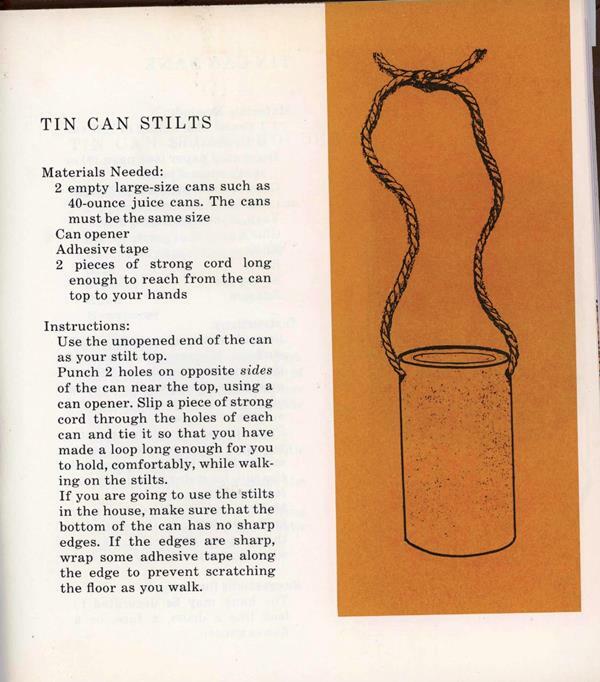 We had the tin can stilts when I was little but that was back when getting mangled by your toys ” built character”. I did have a pirate themed 50th birthday party. 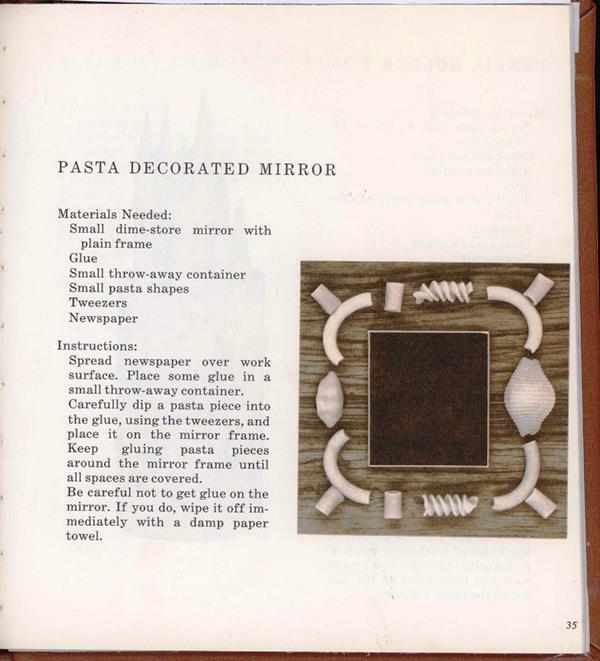 I remember making furniture coaster crafts, but had you not unearthed this book I would have never ever ever recalled doing so. “Meh,” indeed. No color. No imagination. Nothing intriguing on the title page. 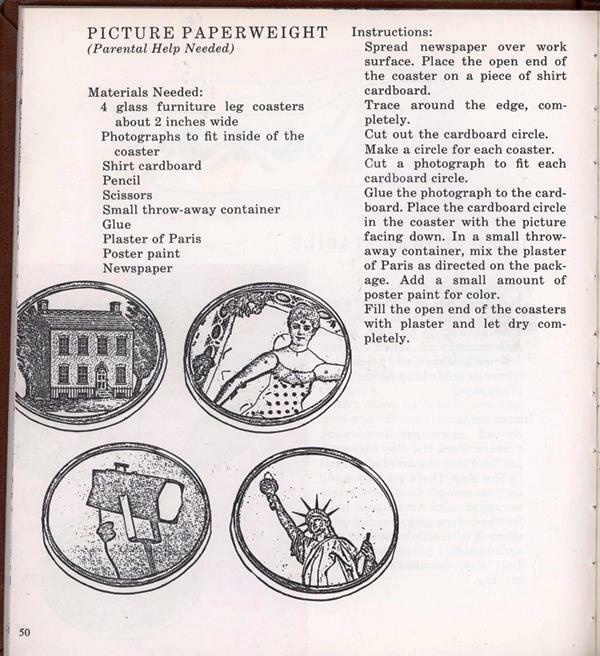 (You reviewed the Giant Golden Make-It Book a while ago. That featured some of these kinds of crafts but in an interesting way. )…… BTW, if the cans used for the juice can stilts were DIFFERENT sizes some fun might ensue. She and Jane collaborated on a cookbook. Wonder if it is more appealing than their foray into crafts? Those are definitely children’s crafts. I’m not sure why you think they aren’t kid-friendly. The crafts are meant for children, but a lot of these require adult support. 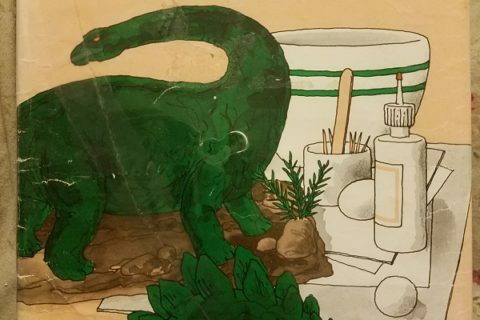 A kid isn´t going to grab a can of turpentine to clean up enamel paint. Mom may very well nix the project if there are sharp edges, the need to serve sardines in order to acquire an empty thin, rectangular, self-standing can, etc. Think elementary school…you want to set out a few bowls of paint, googly eyes, noodles and a bottle of glue and let kids have fun creating something they can brag about, then clean up easily. Now, fast-forward to 2018. The kids´craft book has to compete with DK editions and Pinterest in terms of color, excitement and success. Time to update! Can I just say those tin can stilts are a hospital visit waiting to happen? I was thinking the same :(. 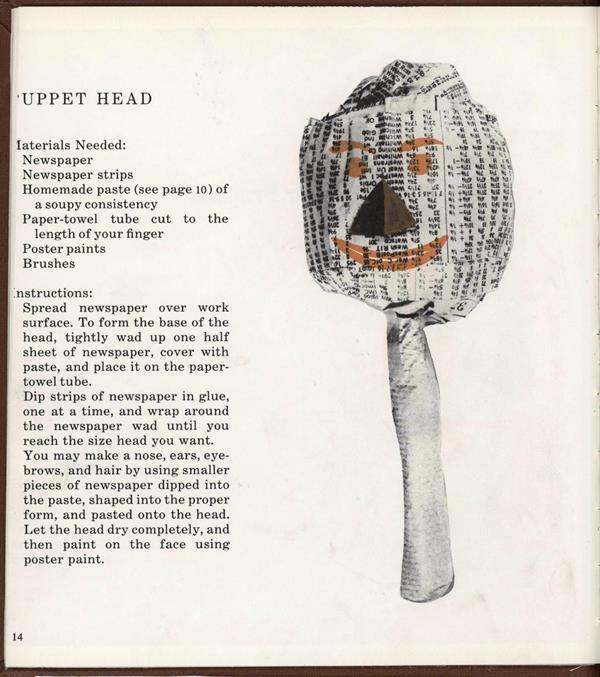 It would be more fun to read the stock quotations than play with the “uppet head” made out of them. Hey, I had those can stilts! We all liked those pretty well. No orthopedic injuries, they weren’t really all that high. But yes, that book could go. I actually like seeing such mediocre craft execution in the books. It prevents the usually-inevitable disappointment when you, the home crafter, find that your creations are nowhere near as nice as the pretty ones in the book. 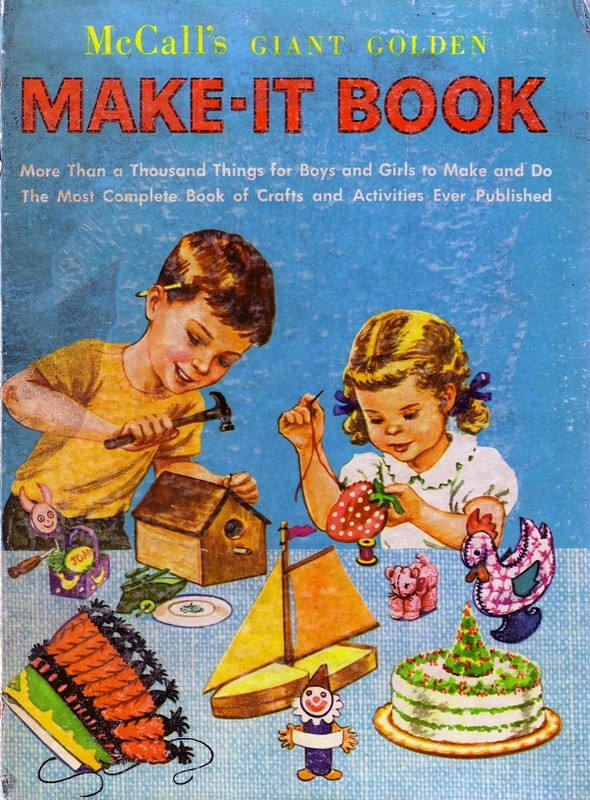 I LOVED the McCall’s Make-it Book! If it was updated with color pictures and better designs, it may circulate. All of them are pretty good craft activities expect maybe for the tin slits :(. My mother was camp nurse one year at a Baptist bible camp in New Jersey and one of the benefits was that we kids (all 6 of us!) were allowed to attend the camp for free. One of the major craft projects they had campers do was the tin can stilts, only they called them Romper-Stompers. Punched holes in the cans for the strings to go through using one of those can openers with the triangular punch. The kids spent the next week sticking their fingers through the punched holes and ripping gashes in them. A couple needed stitches. I don’t remember anyone falling off their Stompers, but half the camp had fingers wrapped in gauze.